Successfully Added 6.2-inch Touch Screen Car DVD Player With Bluetooth Function to your Shopping Cart. 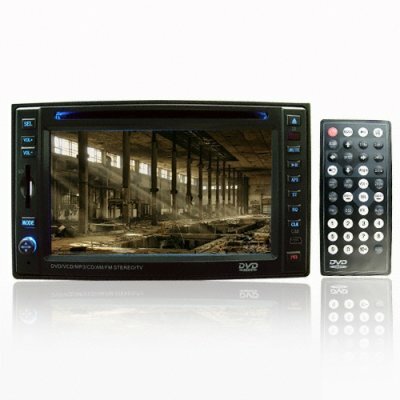 Wholesale savings 6.2 Inch widescreen car DVD player with built in Bluetooth technology for safety and convenience. Additional features include wide compatibility with multiple digital media formats, a built in USB port as well as a SD card reader, a CDC port as well as CDC video IN for the ability to connect a multi disk changer to the car DVD player, as well as a useful and cool touch screen function. Combining great design, the latest technology and high performance components from well known manufacturers this wholesale product will exceed your expectations in every way possible for the lowest possible price..